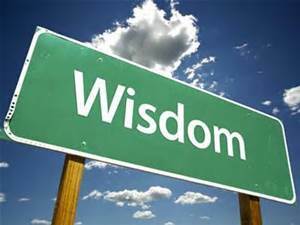 What happens when wisdom is complete? SHAFAQNA – Imam Ali (AS) said: When wisdom is complete, speech/saying is shortened . When wisdom is complete, the human being does not read everything, does not talk about everything. Our great scholars talked about wisdom and God bless the late Akhond the author of Kefayah who gathered all these sayings in one place. It is said that some acts block blessings and Wajibaat, and an example is mentioned in this regard; it asks: how much water a tree needs? If a person gives it salty water, the tree gradually becomes ill, and there is no way to cure it. How much water this tree needs? It only requires a bit of water, but it is given salty water. How much is the capacity of a mind? If it is constantly said to the mind, read this story, read that narration, listen to this saying; it gets full of confusion. It is said: Protect this internal chest, this internal secret in order to open the way for accomplishment. Whenever/wherever there is no place for science/knowledge, do not speak, do not talk about everything, and do not listen to everything. If it was about Towheed, knowledge, logic, for the benefit of society, talk about them and listen to them; but words which are useless, joke and laughter; they are tales and lies. It is said: Do not let these enter safe shrine of your heart. If the wisdom is complete, there will be less talk . Nahjul Balaghah, Sobhi Salih, Wisdom 71. Part of speech by the Grand Ayatollah Javadi Amoli, (31 January 2019). https://en.shafaqna.com/wp-content/uploads/2019/04/wisdom2.jpg 225 300 hamrang https://en.shafaqna.com/wp-content/uploads/2018/10/new-logo-s-en-fine.png hamrang2019-04-16 11:04:112019-04-16 11:04:11What happens when wisdom is complete?